BPA – found in polycarbonate plastics often used in making containers to store food and beverages – is notorious for the potential hormonal harm it can cause humans. This discovery was made twenty years ago and now the same Washington team have discovered how BPA alternatives appear to have the same effect on their mice, particularly in their reproductive cells. The infamous BPA finding caused widespread consumer concern, forcing food and beverage companies to ease consumer worries by turning to BPA-free alternatives. However, the chance that these alternatives still may cause harm is significant, as it suggests they are just as unsafe. The researchers noticed a change in the data coming out of studies on control animals and traced the problem to contamination from damaged cages. The results were more subtle than before because not all of the cages were damaged and the source of contamination remained less certain. and cage with white residue indicative of damage (right). However, they were able to determine that the mice were being exposed to replacement bisphenols and that the disturbance in the lab was causing problems in the production of both eggs and sperm. Once the contamination was under control, the researchers conducted additional controlled studies to test the effects of several replacement bisphenols, including the common replacement Bisphenol S (BPS). This confirmed that replacement bisphenols produce remarkably similar chromosomal abnormalities to those seen so many years earlier in studies of BPA. Hunt notes that the initial inadvertent exposure of their animals was remarkably similar to what might happen in people using plastics, in that the exposure was accidental and highly variable. Not all of the animals' cages were damaged, and so the findings differed among animals in different cages. “While it’s impossible for consumers to stop using plastics altogether, I’d like them to view plastics differently. 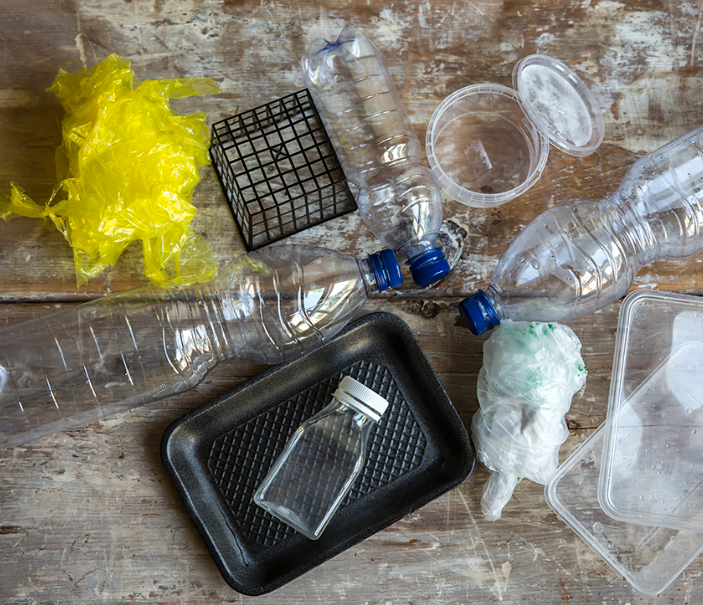 If plastic products show physical signs of damage, there is a good chance that they are degrading – which means they are releasing chemical components. Also, heat is an invitation for chemicals to migrate out of plastics, so putting these products into the dishwasher or microwave isn’t wise,” Hunts tells PackagingInsights. “More research is important – we need to understand how bisphenols exert effects in our bodies. Importantly, however, a lot more Click to Enlargeattention needs to be devoted to the testing of chemicals before they come on the market,” she adds. The potential health problems, if they hold true in people as has been shown in the case of BPA, will carry over to future generations through their effects on the germline. Significantly, the researchers showed that if it were possible to eliminate bisphenol contaminants completely, the effects would still persist for about three generations. Hunt also suspects that other widely used and endocrine-disrupting chemicals, including parabens, phthalates and flame retardants, may be having similar adverse effects on fertility. “The ability to rapidly enhance the properties of a chemical has tremendous potential for treating cancer, enhancing medical and structural materials and controlling dangerous infectious agents,” the researchers write. “Importantly, this technology has paved the way for ‘green chemistry,’ a healthier future achieved by engineering chemicals to ensure against hazardous effects. Currently, however, regulatory agencies charged with assessing chemical safety cannot keep pace with the introduction of new chemicals. Further, as replacement bisphenols illustrate, it is easier and more cost-effective under current chemical regulations to replace a chemical of concern with structural analogs rather than determine the attributes that make it hazardous,” they add. This study may add confusion to the state of BPA safety understanding. The US Food and Drug Administration (FDA) banned BPA in baby bottles in 2012 and prohibited it in infant formula packaging in 2013, while the EU also implemented a ban on BPA use in baby bottles. The EU further banned the use of BPA in thermal paper (receipts) in 2016. The restriction concerns thermal paper containing BPA in a concentration equal to or above 0.02 percent by weight. However, the US Food and Drug Administration, the European Food Safety Authority and Food Standards Australia and New Zealand have all similarly concluded that the current levels of BPA that people are exposed to in food should be safe. Furthermore, a study published in Experimental Biology and Medicine found that BPA worsens the symptoms of Irritable Bowel Disease (IBD) – the first study to associate BPA and the gut microbe. The introduction of “BPA-free” packaging was intended to ease the doubts of consumers confused by regulatory and scientific clashes, yet the findings of this research may fuel this confusion once again, as well as potentially doing little to aid declining consumer sentiment on plastic. The impact of plastics on human wellbeing was brought into the spotlight amid the microplastics discovery of New Orb Media, leading the World Health Organization to implement a health review of the potential harms of plastics on humans. 17 Jun 2016 --- US research has suggested that obese people gain weight because they never lose their childhood sweet tooth.